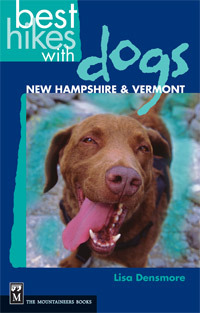 The next section covers the essentials including, Gear, Canine First Aid, Wildlife Encounters, and Weather. At the end of the book, as well as an index, you’ll find a list of resources and contacts. Even if you never plan on going on a hike on any of the trails mentioned in this book, it is an interesting and fun book to read. The descriptions of the trails and the pleasures of hiking with a canine companion are a good read. This was an easy to use guide that I found very helpful and I’m sure that if you plan on taking your dog along on your next hike, you’ll want to consult this very well thought out guide first. Definitely a four star book.